RAJAMAHENDRAVARAM: Search and rescue operation in Godavari river for missing passengers in boat tragedy at Mantur of East Godavari district continues. More than 30 people were feared drowned in the mishap that occurred on Tuesday. National Disaster Response Force (NDRF) and State Disaster Response Force (SDRF) engaged in rescue operations have identified the boat at a depth of 60 feet in the river, stuck in the sand. Helicopters and huge crane that was used for Polavaram Project works have been engaged to fish out the boat. On Tuesday evening, a boat returning to Kondamodalu from Devipatnam capsized due to gale and around 16 people including boat crew managed to escape from the boat to safety. Officials engaged in the search and rescue operation fear that since it has been several hours since the mishap has occurred, chances of survivors in the boat are negligible. Efforts were made to break open the shutters and glass panes of the boat to retrieve the bodies in the boat. However, due to water pressure, the doors and shutters of the boat could not be opened and the divers returned back. Survivors said that there were 50 to 55 people on board when the boat got capsized on Tuesday evening due to gale and thunderstorm. Around 16 people managed to reach the river bank after jumping from the boat. “Everyone in our tribal villages on the banks of Godavari river knows how to swim. It is just that the shutters of the boat were closed due to rain at the time of mishap and several might not have got a chance to escape,” a woman, who survived the accident said. 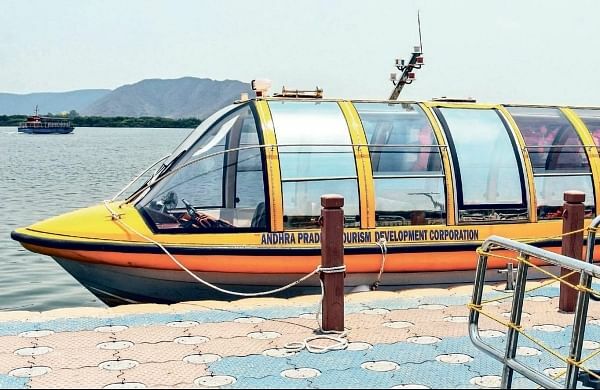 Meanwhile, Chief Minister N Chandrababu Naidu, who has been reviewing the rescue operations from time to time since the tragedy, left from Vijayawada to the accident spot.